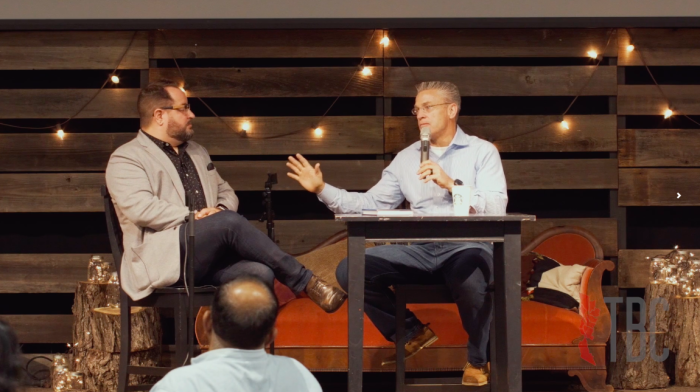 Gary Haugen, founder of International Justice Mission, has identified common misconceptions Christians have when it comes to engaging the lost with the Gospel and highlighted the importance of fighting injustice while manifesting the fruits of the spirit. Joy, Haugen contended, is the “oxygen” for doing hard things: “You will not do the work of justice or of caring for the hurting or engagement with evil unless you are in, as a spiritual discipline, coming up for air, for joy,” he said. The idea that Christians shouldn’t enjoy their lives is a lie from Satan, Haugen warned: “Our spiritual adversary ... wants us to just grind all the time and just go down to where all of the darkness is and then just drown in it,” he said. When Christians fail to re-invigorate themselves by spending time in prayer and engaging in activities that bring happiness, they fail to effectively lead, he argued. “There's nothing more powerful a leader can do for the team than to bring their best self to that leadership, and that requires a refreshment, a constant joy,” Haugen said. He pointed out that on airplanes, passengers are told to secure their own oxygen masks before assisting others. The same principles apply to ministry. Haugen speaks from experience: A former prosecutor at the U.S. Department of Justice, he decided to start IJM after becoming aware of the chronically neglected global epidemic of violence against the poor while investigating the genocide in Rwanda. IJM’s mission statement is to “protect the poor from violence by rescuing victims, bringing the criminals to justice, restoring survivors to safety and strength, and helping local law enforcement build a safe future that lasts.” Since 1997, the organization has rescued more than 45,000 people from slavery and other forms of violence and helped local authorities arrest more than 3,500 suspected slave owners and other criminals. Additionally, Haugen has been recognized by the U.S. State Department as a Trafficking in Persons “Hero” – the highest honor given by the U.S. government for anti-slavery leadership. IJM has provided a vehicle for “very devout followers of Jesus who have these gifts and talents that they did not feel included in the traditional paradigm of ministry,” he said, from counselors and social workers to lawyers and technology experts. “They love Jesus and they love excellence,” he said. “If you can plausibly create an environment that says, ‘we value this,’ you're going to attract people who want that. And for people who are not into excellence, they self-select out, too. Likewise, if they're not into Jesus." "There is not this trade-off between professional excellence and deep communion with God in the midst of work," he said. Transforming the Bay with Christ is a coalition of business leaders, venture capitalists, pastors, and nonprofit leaders, focused on helping to develop a grass roots activity that will transform the Bay Area through social compassion and service.